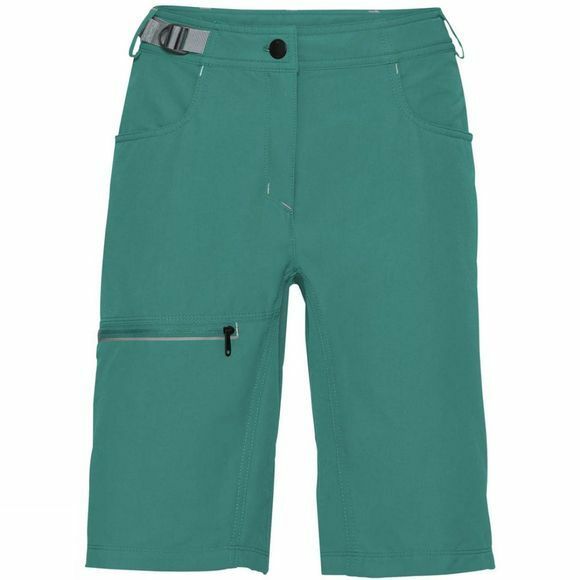 The Womens Tekoa Shorts from Vaude are relaxed shorts made from a comfortable fabric blend feature drop-in pockets and an integrated belt. A fantastic all-rounder for mountain sports, but also a hot contender for becoming your favorites for base camp – or anywhere really. 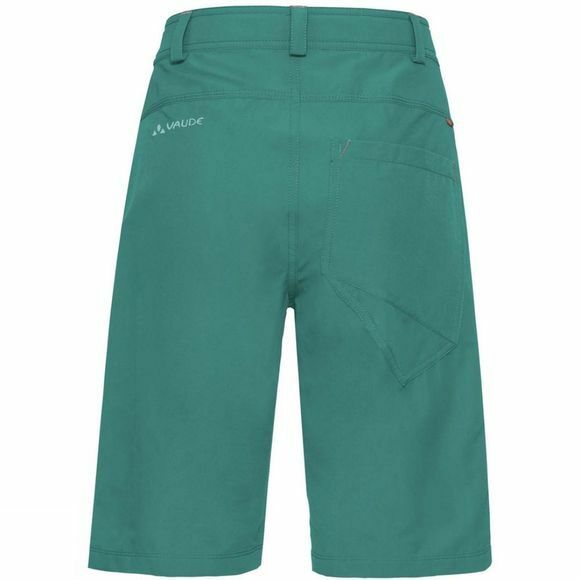 Double weave fabric is absolutely robust and maintains its elasticity over the longterm. Recycled nylon was also used to conserve resources. The Vaude Green Shape label stands for environmentally friendly, functional products made from sustainable materials.